President Barack Obama has laid out his goal in the Middle East: to degrade and defeat Islamic State. Yet remarkably little progress seems to have been made. Why has it proven so difficult for the world’s greatest power and its regional allies to succeed against an estimated 30,000 radical extremists? The answer can be found by examining the situation the Allies confronted in Russia after World War One. Then, as now, a relatively obscure revolutionary group with a threatening ideology seized control of a strategically important region. A war-weary United States agreed to limited participation in an allied effort to dislodge the radicals, providing several thousand troops and supplies. Allied nations, including Britain, Canada, France and Australia, joined the effort. After five years of fighting, however, the radicals were able to consolidate their control and continued to pose a threat to Western interests for many decades. That territory was the Russian empire; the years of fighting stretched from 1918 through 1922, and the revolutionary group was the Bolshevik (later Communist) Party. Among all the groups that opposed the tyranny of the Russian tsars, the Bolsheviks were the most extreme. They promised a new social order that would empower workers, end the tyranny of religion and existing elites, abolish all private property and usher in a new era for mankind. Originally a small minority in the opposition, even among the communists, the Bolsheviks’ ruthless strategic vision propelled them to mastery of all Russia. They had seemed near exhaustion, after fighting a fierce civil war against White Russian reactionary forces. The allied forces had just triumphed in World War One. Yet it was the Bolsheviks who emerged victorious. Relying on a “Red Terror,” including gruesome tortures and mass executions, the Bolsheviks defeated both domestic opponents and the allied international forces. They won because of their intense determination, cohesion and ideological support, while allied forces were hamstrung by divided objectives, little desire to continue fighting after years of draining war and lack of public support at home. Though today’s forces in the front-line countries of Syria and Iraq may be capable of defending regions of their territory, trading tactical wins and losses with Islamic State, they are not capable of mounting the sustained military offensive necessary to rout Islamic State and recover the territories this radical group controls. For that, an allied force including the United States, Turkey, Iran and other powerful nations, including European countries and the Gulf nations, is needed. 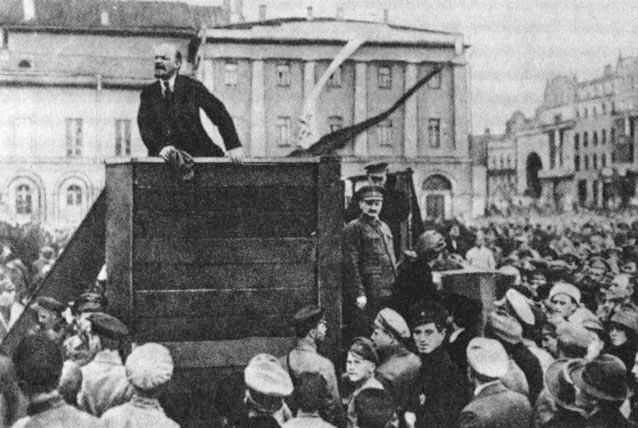 Vladimir Lenin, leader of the Bolsheviks, speaking at a meeting in Moscow. Only a multipronged offensive coordinated with strong air and ground forces can grind down the resourceful and well-equipped forces of Islamic State. It would likely draw on Iraqi forces backed by Iranian arms, troops and expertise from the east; Kurdish forces backed by Turkish arms, troops and expertise from the north, and Sunni Syrian forces backed by Gulf money and armaments from the West. Yet the prospects that such a coalition could act effectively are slim. Washington and its European allies are exhausted from the wars in Iraq and Afghanistan. Already suffering from long recessions and vast spending on overseas military expeditions, their publics show mixed enthusiasm for a renewed fight in the Middle East, even against an enemy as frightful as Islamic State. Moreover, as in 1918, the key allies are divided on their objectives. Iran will only support a campaign against Islamic State that promises to maintain the authority of Syria’s President Bashar al-Assad, while Turkey and Saudi Arabia will only support a campaign that promises to remove Assad from power. The United States has therefore tried to mount a campaign against Islamic State with no explicit strategy for Assad’s future. This has gained only tepid support from key potential allies. Disagreements over Syria strategy do not end there. As the sudden resignation of Defense Secretary Chuck Hagel and the debate over a proposed new authorization for the use of U.S. forces against Islamic State suggest, disagreements over Washington’s role in fighting Islamic State exist even within the U.S. government. By contrast, support for Islamic State is growing locally and internationally. Just as the Bolsheviks cited foreign intervention in Russia’s revolution as proof that Western capitalist states were bent on exploiting hapless Russians, so Islamic State points to U.S. bombing strikes and drone attacks to persuade Sunni Muslims in Syria, Iraq and around the globe that Western infidels are seeking to undermine and oppress their religion. Not only have the Sunni populations forced out of power by Shi’ite leaders in Iraq and Syria rallied to Islamic State’s banner, so, too, have disgruntled Sunnis and radical groups in other countries, including Europeans, Australians, Canadians, Egyptians, Palestinians, Tunisians and Chechens. In Libya and Nigeria, local jihadists have sworn allegiance to Islamic State. Indeed, anywhere that Sunni Muslims feel oppressed or excluded, Islamic State’s program to build a powerful, defiant Sunni state in the Islamic heartland has magnetic appeal. 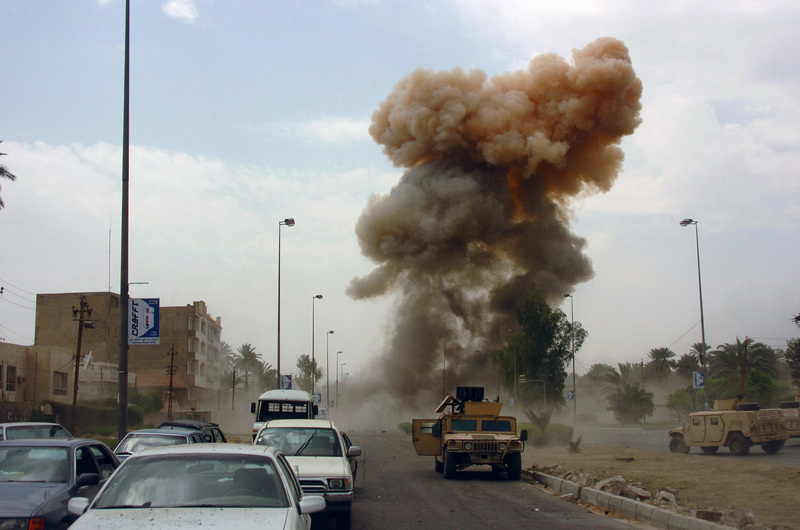 Islamic State can bide its time and recover from tactical reversals. In the long run, it will be gathering its forces and seeking to increase its funding and arms for the days when it will march on Baghdad, mount terror attacks on Western nations and their Middle Eastern allies (including Turkey and Saudi Arabia), and undermine what it sees as the apostate state of Iran. Can anything be done to overcome the divisions among the potential allies? It will be extremely difficult. Nations with highly divergent interests would have to cooperate in a sustained campaign. Many analysts say Assad is content to leave Islamic State in control of parts of Syria, as long as he holds the key Damascus-Aleppo corridor and the coast. Meanwhile, Assad’s brutality and U.S. air strikes are driving ever more Syrians to support Islamic State. Thus the only way to bring Syria’s powerful armed forces into the fight against Islamic State is to remove Assad from power. Syria’s military and elites could be promised that, if they replace Assad, they will be fully supported in their efforts to rebuild Syria. They would have to agree, however, to an inclusive regime that respects and incorporates the nation’s Sunni majority, not just a revived Alawite oligarchy. Iran would have to accept Assad’s departure and in addition promise to support a regime in Iraq that respects and incorporates Sunnis, something it has notably failed to do over the past decade. Turkey would have to put aside its conflicts with its Kurds and its enmity to Iran, both of which it has treated as more important than defeating Islamic State. Saudi Arabia and the Gulf States would have to cooperate with Iran, while reining in their own citizens who provide financial support to Sunni extremists. Russia would also have to be assured that its naval base at Tartus in Syria would be maintained by a new Syrian regime. Otherwise, Moscow will likely act as spoiler and supply Assad with sufficient weapons and aid to maintain his rule. In 1918-1920, the Western allies won many victories against the Bolsheviks, defeating the Red Army in Estonia, Odessa and Siberia. Yet the allied forces were never able to follow up with a successful drive into the heart of Bolshevik power. The Bolsheviks held onto Moscow and most of European Russia and waited out the Allies’ declining resolve. 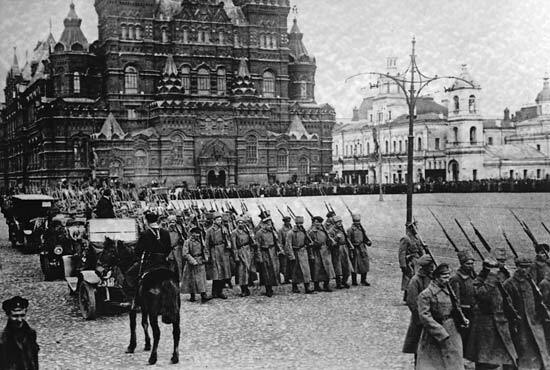 In the early 1920s, one Western ally after another withdrew its forces from Russia, leaving the Bolsheviks to build their state over the following decades. Something similar seems the most likely outcome in the Middle East today. The deep divisions among potential allies and the lack of public support for yet another war in the Middle East will likely doom efforts to overcome the more committed, cohesive and determined forces of Islamic State. The Islamic State, like the Bolshevik regime a century earlier, is a rising revolutionary power. It has gone from being just another terrorist group to master of a region larger than Lebanon or Israel, with a population of more than 2 million, tens of thousands of armed fighters and financial resources in the billions of dollars. Unless the major powers of the region — Turkey, Iraq, Iran and Saudi Arabia — can unite and sustain a multipronged campaign against Islamic State, we shall have to deal with a major source of terrorism and war in the region for many years to come. This piece was originally published on Reuters.com on March 11, 2015. PS21 is a non-ideological, non-national, nonpartisan institution. Any opinions are the author’s own.